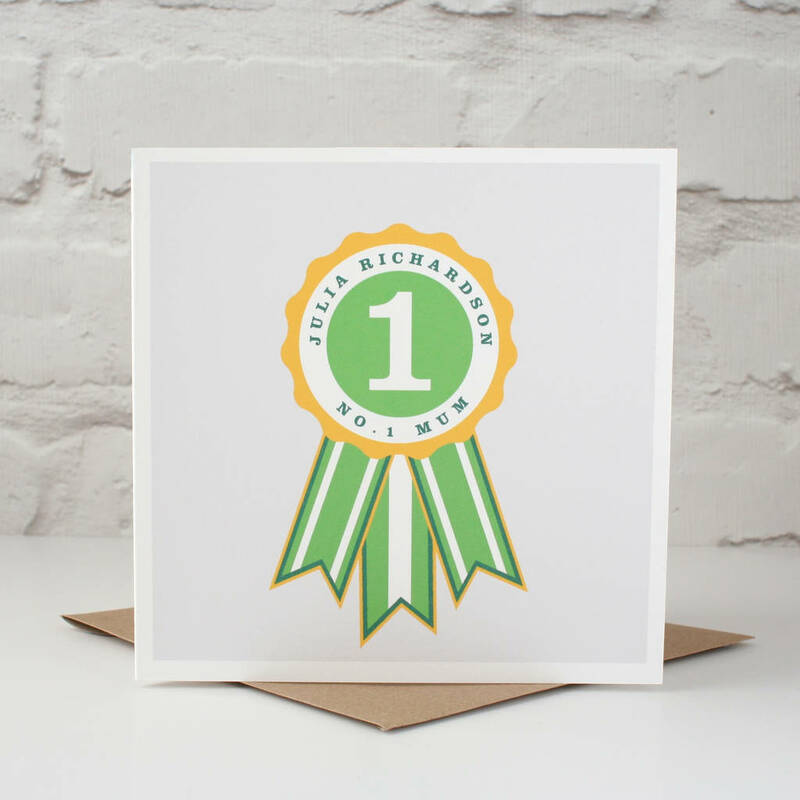 Show your appreciation for your 'No.1 Mum' with this personalised card. 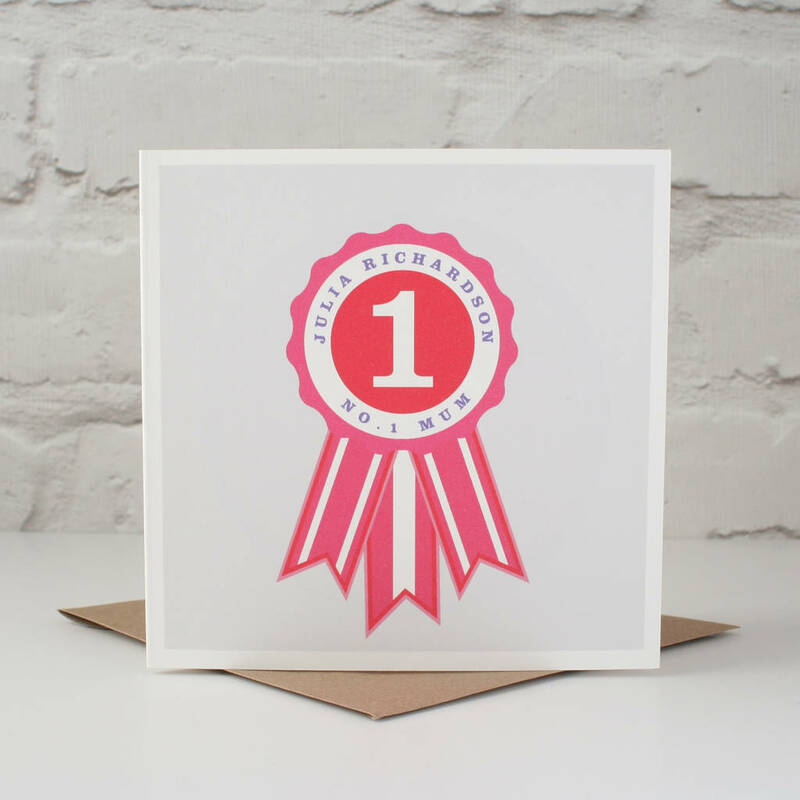 Featuring a graphic rosette with her very own name on, she'll know that's she's Number One in your eyes. It would make a lovely unique mother's day card, birthday card or thank you card. There are four colour combinations to choose from: Green and Yellow, Red and Fuschia, Blush Pink and Navy, Dusty Aqua and Lilac. Just select yours in the drop down menu then add your mum's name into the 'mum's name' box in the menu. 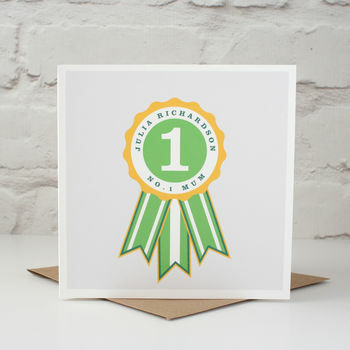 The card is blank inside but you can add your own message for an additional £1. 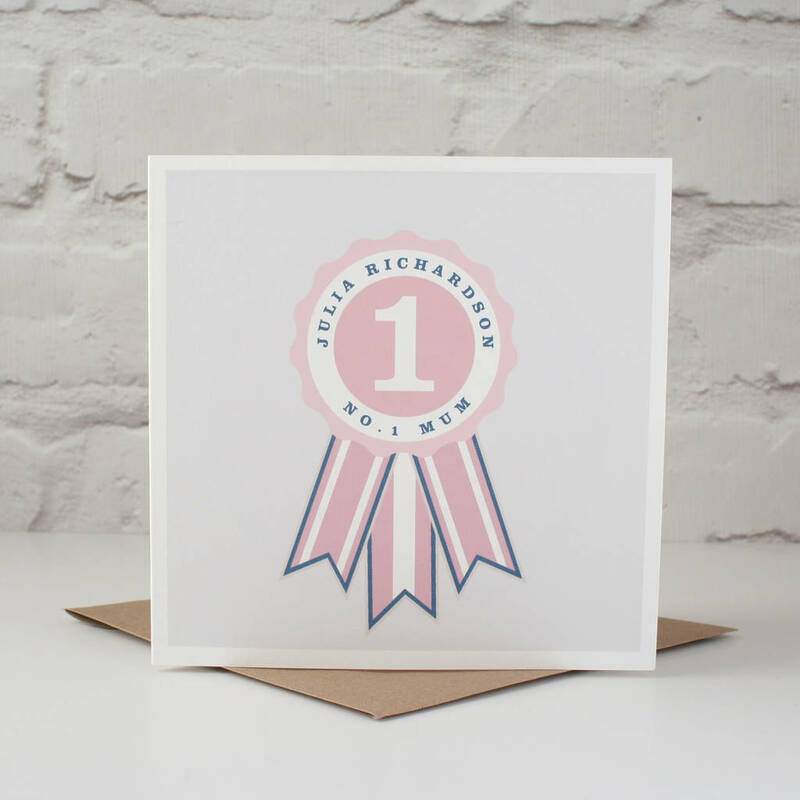 We print a handwritten style font we can also send the card directly to your recipient if you wish. Printed high quality inkjet onto white 350gsm card and comes with a kraft brown square square envelope.